The London Mint Office have been very fortunate in acquiring a strictly limited number of coins from the famous South Petherton Hoard. This discovery of Roman Treasure in the fields of Petherton, South Somerset. These Roman coins, buried maybe for safekeeping or as an offering to the gods, were lost to history for nearly 2000 years - until they were discovered by chance. On discovery, the hoard was transported to the British Museum in London, where it was later declared to be treasure and now a very limited amount of coins have made their way into the marketplace. 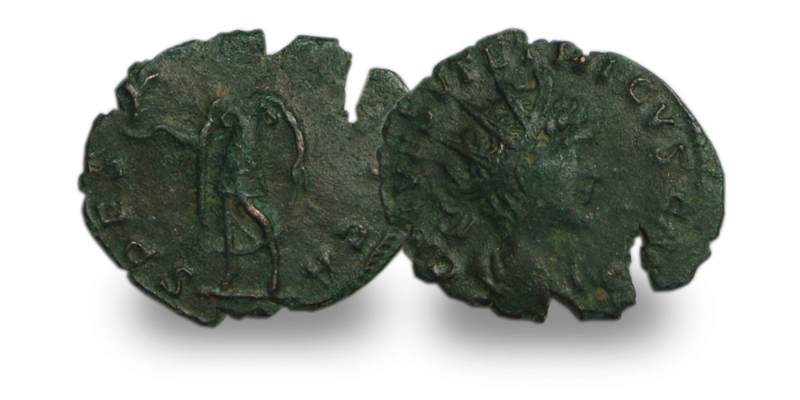 These coins were struck as early as 253 AD and are a cross-section of the history of the Roman Empire in early Britain. The wide variety of coin ages shows that the hoard coins were circulated for many years and one can only speculate with intrigue at their use in everyday life.